Wild, natural and beautiful, IKARIA and SURF have many things in common. They share the eternal teen spirit of a culture that doesn’t get old and they both carry the promise of a magical world that will permit you to discover something new about yourself. The School respects and functions under the philosophy of sustainability and of an alternative touristic approach . We focus on empowering the training of our guest-student, in order to get the most of a lifetime’s experience. Fun, affordable and safe learning, is, and always will be, a high priority for our certified surfing professors and collaborators. VASSILIS is the head coach of Ikaria Surf School. 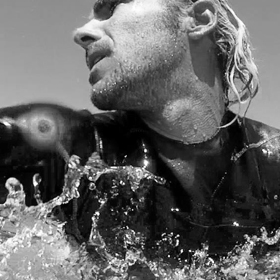 He worked for more than 5 years as a surf instructor-guide for beginner & advanced surfers, in surf camps in the UK, Greece, Spain, Canary Islands and Mexico. He ensures that the sessions will take place in a fun and safe environment with guaranteed success results. 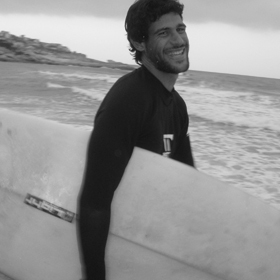 Vassilis is accredited with the Surfing GB, ISA surf instructor’s license, as well as ISLA and Lifeguard Hellas diploma. ISIDOROS origins are from ikaria. Messakti beach is his home spot and he has previous experience as creator and head coach of the first surf school in Ikaria(TheNaluBoys). He takes surf coaching very seriously and he won’ t get out of the water if you don’ t learn how to surf. Isidoros is certificated with the ISA surf instructor’s license and with the SLSGB beach lifeguard diploma. Our surfer girl, Argyro, the assistant surf instructor of our team. She is from the island of Ikaria and she got into surfing from a very young age . She worked at the aquarium of Crete and she has been a diver for the last 6 years. Her love for surfing and her experience,make her responsible and the right person for a fun, full of energy surf lesson .She studied maritime science at Aegean university. The IKARIA SURF SCHOOL is very conscious about respecting the island’s natural sources, history, and culture. Our principles as surfers and as human beings have a lot to do with the protection of the natural environment and of course our role as local business owners and instructors is oriented towards the same direction. Our schools facilities are built with the least intervention to the natural environment, using non-permanent construction and natural materials. Our equipment and supplies have specifications of natural conservation services. We make sure that our school, the surrounding environment and the beach in general remain clean. We actively participate in environmental and cultural initiatives, in financial or in human resources support. We act as volunteer lifeguards, whenever and wherever we are needed. We collaborate with various local businesses targeting a holistic development for the island.